Home Tattoo Articles Things were Muy Caliente for the 1st Annual Miami Tattoo Arts Convention! 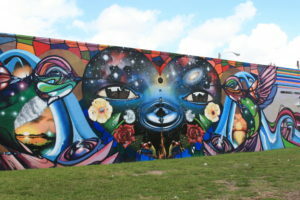 Things were Muy Caliente for the 1st Annual Miami Tattoo Arts Convention! Miami is known for being hot, hot, hot, but thanks to Villain Arts it was hotter than normal during the 1st Annual Miami Tattoo Arts Convention! The convention took place over Veteran’s Day weekend, November 10th, 11th, and 12th of 2017. Over 400 of the industry’s top talents and vendors made an appearance as everyone wanted to be a part of the inaugural event. Despite that Miami was just recovering from the catastrophic Hurricane Irma, the convention proved to be a memorable experience for all. 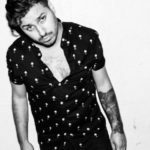 Held at the Miami Mana Wynwood Convention Center in the design district, the entire atmosphere of the convention oozed creativity. From the moment you hit the streets nearby, art poured forth from each and every available space. Every building, every wall, every bare patch of brick or concrete was turned into an open canvas. Even the sidewalk was utilized as a page filled with beautiful poetry and uplifting messages. As you came upon the convention center itself, you came upon a box truck being decorated with old-school New York tag graffiti by the one and only Sean ‘NME’ Griffin. 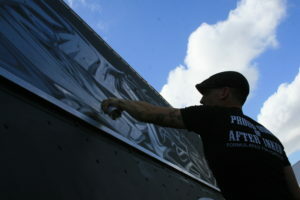 Griffin continued to work away at the box truck throughout the entire weekend creating a live art installment. At any given time, you could find a crowd hovering nearby throughout the convention. The energy of the building was incredible. With such a vivacious area, the life of Miami seemed to seep into the convention itself. The artists and vendors, many of which had been traveling the convention circuit for many months, were friendly and eager to chat. The spacious room echoed with music, laughter, and the buzz of hundreds of tattoo machines. The convention was sponsored by several big names, including Saniderm Aftercare Products and AfterInked Tattoo Aftercare. Other vendors included Inked Shop, Razorblade Tattoo Supply, H2Ocean, Eternal Ink, and Kingpin Tattoo Supply. 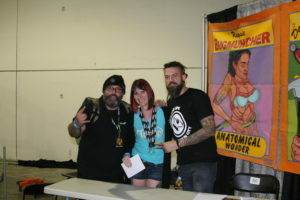 Several InkMaster contestants had booths at the show, including Aaron Is, Emily Elegado, Christian Buckingham, Anwon Boneface Johnson, Bang, Chris Blinston, James Vaughn, and Tyler Nolan, just to name a few. 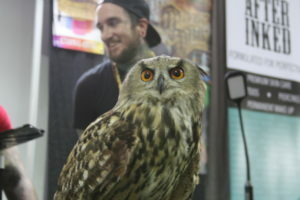 Painters, photographers, piercers, barbers, and even a friendly owl all made appearances over the weekend’s festivities. Of course, the main focal point of any tattoo convention is the competitions that take place. Each day artists competed for Tattoo of the Day Black & Grey and Tattoo of the Day Color. 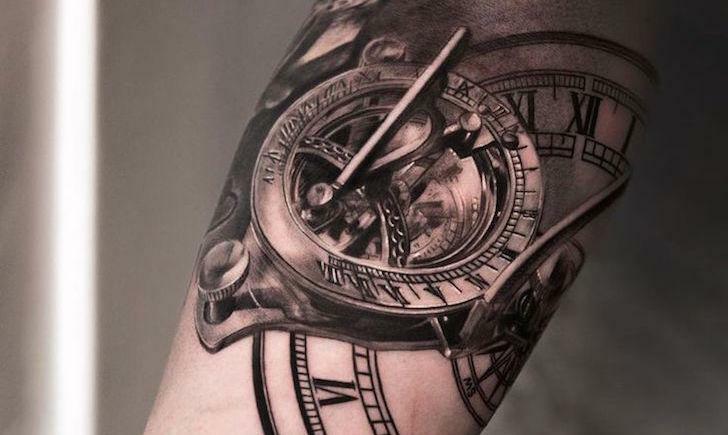 Saturday offered an open competition for any tattoo in categories such as Best Portrait, Most Unusual, Female Large Color, Male Small Black and Grey, and Best Lettering… just to name a few. Sunday brought more specific categories like Best Japanese, Hand/Neck Tattoo, and Best Cover-Up. There were 49 individual categories judged throughout the weekend. Of course, the real prize was the Best in Show award, which was judged on Sunday evening. 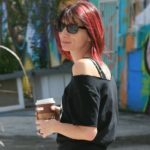 Once again, I had the honor of representing your favorite Tattoo Lifestyle e-zine, Tattoo.com, during the competitions. I sat on the judge’s panel throughout the entire weekend, joined by my new friends Stelios Chimpouras, a member of the Helios Pro-Team, and Brian Signore, owner of the Foolish Pride Tattoo Shops in Central Florida. We had some good laughs, some tough decisions, and not going to lie, a few drinks – but overall, we had a blast. To see more pictures from the weekend’s event, visit our Facebook page by clicking here to scroll through the album!